One way you can call attention to text on a slide is to add a border around it. 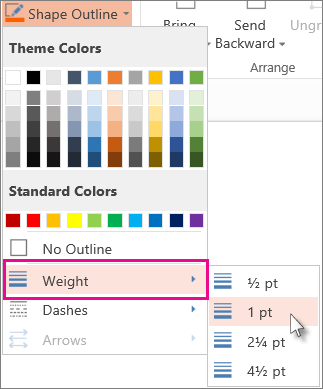 Select the text to add a border to. On the Insert tab, click the rectangle shape and then click the slide to insert it. 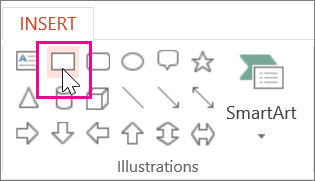 With the shape selected, on the Drawing Tools Format tab, click Shape Fill > No Fill. 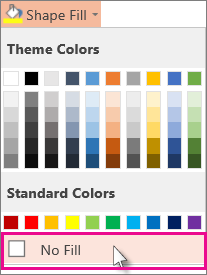 Under Theme Colors, pick a border color. Click Weight, and pick a thickness for the border.